I have been hearing nothing but praise for the former editor in chief of io9, Charlie Jane Anders, and her novel All the Birds in the Sky. While I’ve previously been burned by hype, this little gem lived up to its reputation. I feel like this novel is what Joss Whedon and the Buffy writers were aiming for in Season 4 – but this is so much better (yes, I love Buffy too, and while there might be some great episodes in that season – like ‘Pangs’ – it is not the strongest of the season arcs). 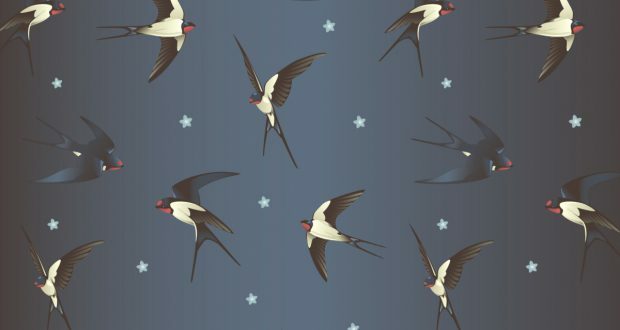 Ultimately, All the Birds in the Sky is about power – who has it, who should have it, and what can be done with it. Good intentions don’t always mean the right actions will be taken. Should anyone, no matter how ‘good’, educated, level-headed… ever have the power/ability to destroy our world? And what makes our world special and worth saving? Is it the people that populate it? What about the animals? Two awkward outcasts, Patricia and Laurence, befriend one another at school before escaping the lives they feel inhibit their potential. Patricia attends a school of magic where she learns to harness her extraordinary powers, joining a group of witches dedicated to keeping the natural balance and order of the world in check. Laurence continues his love of engineering and technological advancement and in his own way, believes he is working towards saving humanity. But what neither of them realise is that their fates are intertwined and both will play an important role in the impending apocalypse. This is not a magic school story. Nor is it the tale of some brilliant science that saves the world in an improbable manner. It isn’t science fiction or fantasy. It’s all of these things and nothing. 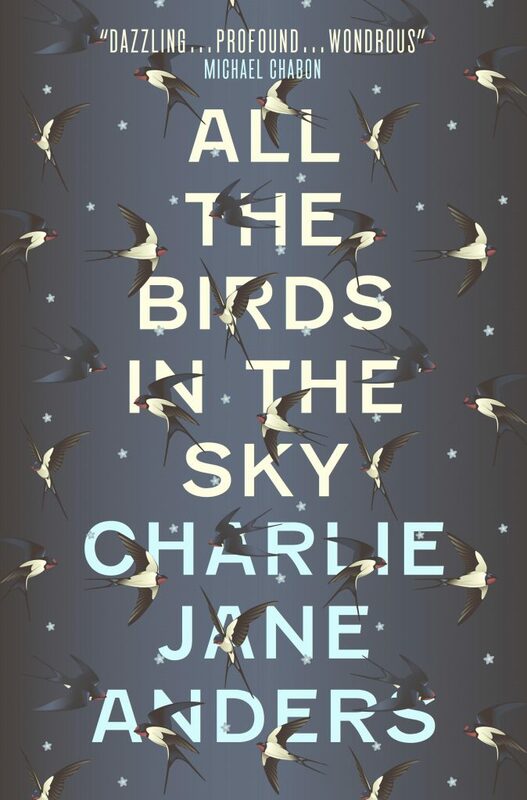 All the Birds in the Sky works so well because it focuses on the stories of two very different people. Patricia and Laurence might be very different and experience very different lives, but the way that their stories are brought together in a way that feels inevitable… now that is pure magic. 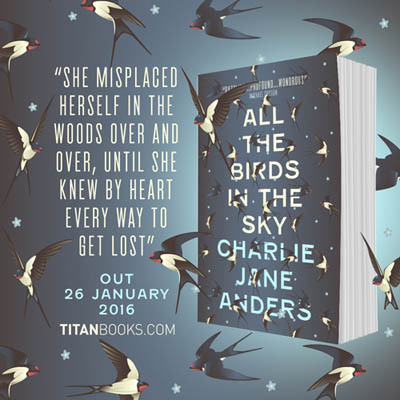 All the Birds in the Sky is written by a very skilled and confident writer. 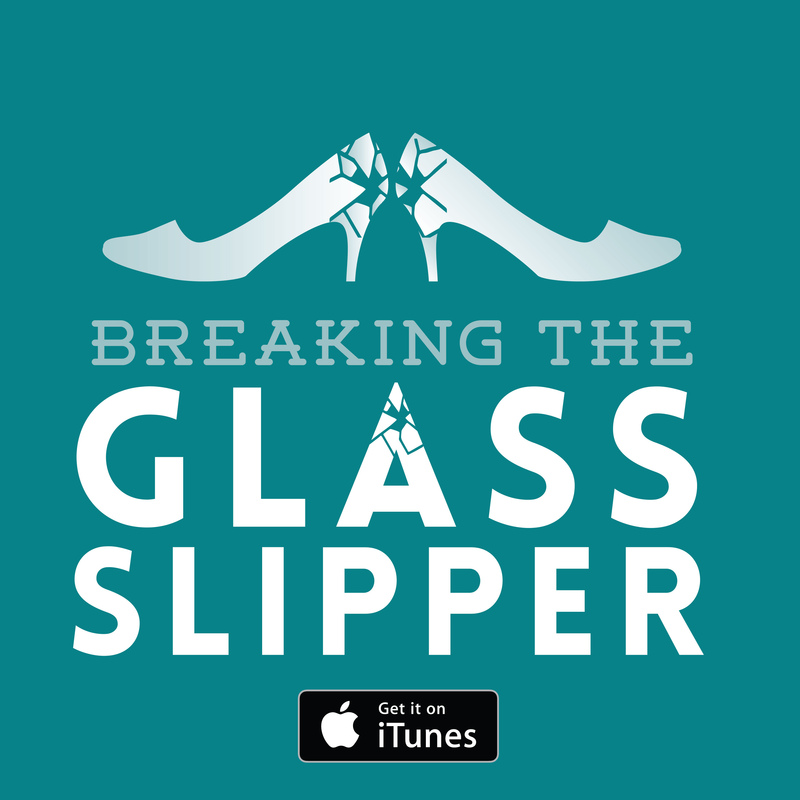 This is not the novel of a writer who is just starting out, Anders knows what she is doing. The characters are nuanced, the setting well-realised without being overly drawn out in exposition, and the language! This book is enormously quotable (if only I had a good enough memory for such things). These little snippets of brilliance left me with a stupid grin on my face for hours after, remembering why I love the written word so much and what it can achieve. Even simple things like the description of how Patricia’s parents met and fell in love: ‘She’d met Roderick after he started coming to all her [gymnastics] meets, and they’d invented a totally objective gymnastics measuring system that nobody had ever adopted.’ The language is playful, inventive, and a joy to read. I only have one gripe, and it really is very specific to me and my preferences: Anders often uses the words ‘got’ and ‘gotten’. I accept that we use these words in everyday language and I wouldn’t mind so much if they just popped up in lines of dialogue. But in descriptive paragraphs, there are so many other, better ways of saying something. This is worse than an inexact adverb… it is inexact, unoriginal, and irritating. And it tarnished an otherwise perfect novel. Verdict: Highly recommended cross between fantasy and science fiction. An original story with wonderful characters, amusing anecdotes, and thoroughly readable prose. Glad you liked this. I did too. Tore through it in about 2 days. The plot almost gets away from her in the second half of the book but she claws it back and makes a great conclusion.